Indeed, Nigeria’s success in Information Technology development and regulation holds the key to her sustainable development, it can be no other way. This is because the nation is blessed with a young and vibrant population of digital natives. So, on my appointment, I went into deep and intensive study of National Information Technology Development Agency (NITDA)’s mandate, stakeholders and vision. My study made me realise that to assume we could execute all the mandate, is absolutely impossible in one lifetime. This made the crafting of an actionable plan a priority on my assumption of office, these plan, we believe, is germane for our national development. We agreed to focus on: IT Regulation; Local Content Development; Digital Jobs Creation; Digital Inclusion; Cybersecurity; Government Digital Services Promotion and Development and Capacity building. 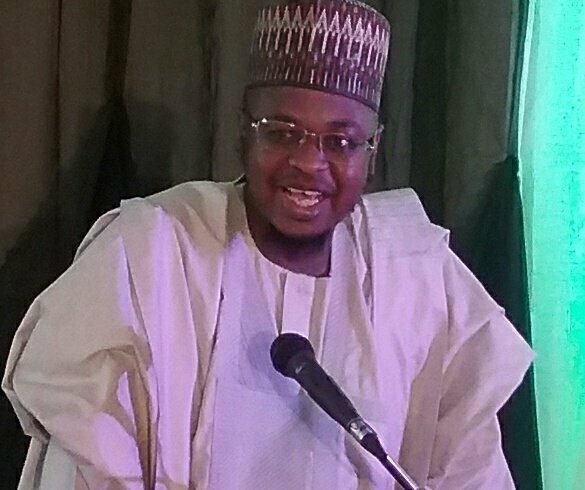 I am happy to report that our modest efforts at NITDA have started yielding bounteous dividends for the nation. Through the active support of Nigerians, NITDA has catalyzed the purchase of indigenous brand of ICT devices, there has been a sales increase by over 400%. While local hosting of data has doubled in value and local software consumption has significantly improved. One such initiative I am so proud of, is the Nigeria Data Protection Regulation 2019. The coming into force of the European Union General Data Protection Regulation (EU GDPR) in May 2018 threw the global community into a frenzy of sorts. The GDPR mandates controllers of European citizens data to comply with certain detailed rules and principles or risk incurring a fine of up to 4% of the defaulter’s global turn-over. This situation made many small and medium scale service providers to lose their share of the European market. More importantly, the rate of wanton abuse of the privacy of Nigerian citizens data needed an urgent national response. I therefore constituted a team of young professionals in the Agency, I challenged them to proffer a solution to this problem. This team worked hard and eventually came up with a unique Regulation that has become the cynosure of discerning minds.